Andrew Jarecki was born on the 24th March 1963, in New York City, USA – his descent, besides American, also includes German ancestry through his father. He is an entrepreneur, filmmaker and musician probably most famous as the co-founder of Moviefone, as well as for his documentary movie “Capturing the Friedmans”, and series “The Jinx: The Life and Deaths of Robert Durst”. Have you ever wondered how much wealth this multitalented man has accumulated so far? How rich Andrew Jarecki is? According to sources, it is estimated that the total amount of Andrew Jarecki’s net worth, as of mid-2016, is $50 million. It has been acquired throughout his successful and innovative business ventures as well as through his involvement in the film industry. Andrew was raised in the family of Gloria and Henry Jarecki, who was a psychiatrist, entrepreneur and philanthropist, alongside three brothers of which Eugene is an author and documentary filmmaker, and Nicholas is a director and producer. Due to the aforementioned, it is no wonder that Andrew managed to become a successful filmmaker and businessman. Andrew Jarecki graduated in 1985 from Princeton University. In 1989, Andrew Jarecki co-founded Moviefone, an American-based, interactive telephone service focused on giving information and movie listings. In the beginning, the company covered New York City and Los Angeles areas only, but under the lead of Andrew Jarecki as its CEO, Moviefone rapidly expanded its reach across the entire USA. In 1999, AOL Inc., global mass media corporation bought Moviefone for $388 million, providing a significant basis for Andrew Jarecki’s net worth. 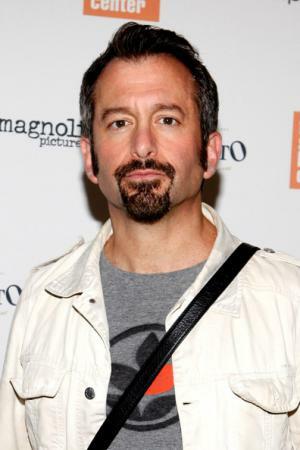 Andrew Jarecki’s musical career officially began in 2000, when alongside J. J. Abrams, he co-wrote “New Version of You”, the theme song for the television drama series – Felicity. This venture has certainly positively impacted Andrew Jarecki’s wealth. The very first efforts towards filmmaking Andrew Jarecki made was in 2003, when he completed an HBO documentary film about family issues – “Capturing the Friedmans”. The movie depicts the 1980s investigation of Arnold and Jesse Friedman, accused of child molestation. It has won 18 international rewards including Academy Awards nominations and winning of the New York Film Critics Circle Awards as well as the Grand Jury Prize at the Sundance Film Festival for 2003. These accomplishments, besides dramatically raising Andrew Jarecki’s popularity in the movie industry, have also added a sum to the total amount of his wealth. In 2010, Andrew Jarecki produced “All Good Things” – a crime romantic drama featuring Kirsten Dunst, Ryan Gosling and Frank Langella in the main roles, inspired by the life of Robert Durst, a millionaire and real estate heir of NY City mogul Seymour Durst. Subsequently in the same year, Andrew produced “Catfish”, a documentary movie about a young man who romantically bonds with unknown women via social networks. The eponymous 2013 TV show, reality documentary focused on revealing lies and truths of online dating, airing on MTV and also produced by Andrew Jarecki. All these engagements have certainly contributed to his overall net worth. Andrew Jarecki refocused his attention and camera on Robert Durst one more time, in 2015, when filming the HBO documentary series “The Jinx: The Life and Deaths of Robert Durst”. Jarecki’s efforts to reinvestigate the unsolved disappearance of Kathie Durst, Robert Durst’s wife, as well as the murder of author and journalist Susan Berman, and savage dismemberment of Durst’s neighbor Morris Black, lead to the confession and later imprisonment of Robert Durst. The series has been nominated for several Emmy Awards in 2016 and won the Outstanding Documentary or Nonfiction Series and Outstanding Picture Editing for Nonfiction Programming awards. All these achievements have significantly increased Andrew Jarecki’s overall net worth. The most recent works of Andrew Jarecki do not include either music or movies, but iOS app KnowMe, a lightweight movie editing tool for Apple devices. Whether this idea is going to be profitable remains to be seen. When it comes to his personal life, Andrew Jarecki is married to Nancy, the founder of BettyBeauty Inc., the company that makes pubic hair dye, with whom Andrew has three children. With his family, Andrew Jarecki currently resides in New York City. TV Shows "The Jinx: The Life and Deaths of Robert Durst"